It was only yesterday that your child took his or her first steps and looking back on the day, you cannot believe how fast time goes by. Now it is time for you child to take one of the most important steps of their life, their Bar/Bat Mitzvah. Let Premier Entertainment make the celebration as memorable as the milestone your child is about to experience. Everyone has different tastes. Premier Entertainment knows this, and that is why we encourage you to customize your dream celebration by selecting your entertainers, music, games, and more. Premier’s entertainers know the importance of family and tradition and understand that your child’s Bar/Bat Mitzvah should reflect this. 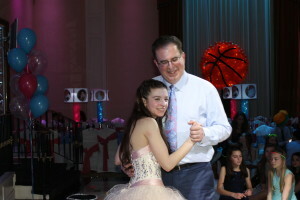 Our entertainers make your celebration’s atmosphere one of tradition and combine that with today’s style and your personal tastes, so your son or daughter has the Bar/Bat Mitzvah they have always dreamed of. Premier Entertainment makes sure that your child is the center of attention while entertaining your guests and keeping the party running smoothly from beginning to end. 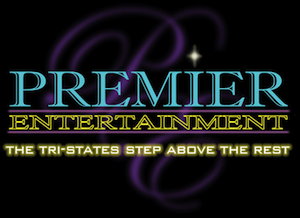 Premier Entertainment has everything needed to make your child’s celebration the party no one can stop talking about. Our talented and motivated MC’s know how to keep your party going. The Emcee will make the celebration fun and exciting by leading all of your guests through the most traditional and latest dance steps. Our entertainers will lead your child and their friends through games such as “Stuff It” and “Tuba Ruba”. Premier will make your party a smash with the latest in party prizes and accessories. We also have options such as caricaturists, our famous diving for dollars, tattoo artists and many others to choose from. Premier has everything you want and more to make your celebration a success. A once in a lifetime event deserves a once in a lifetime celebration. Let Premier Entertainment give you a celebration that will give your family and friends cherished memories of a party that they can’t stop talking about. © 2017 Premier Entertainment. All Rights Reserved.